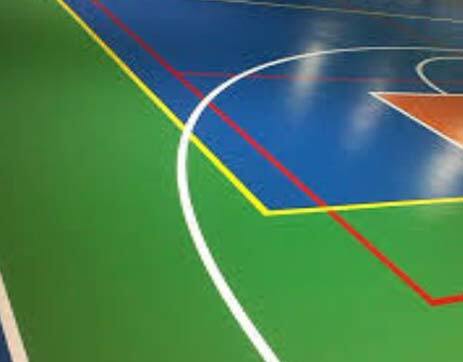 Athletic Floors, Professional Installation - Champions are born! 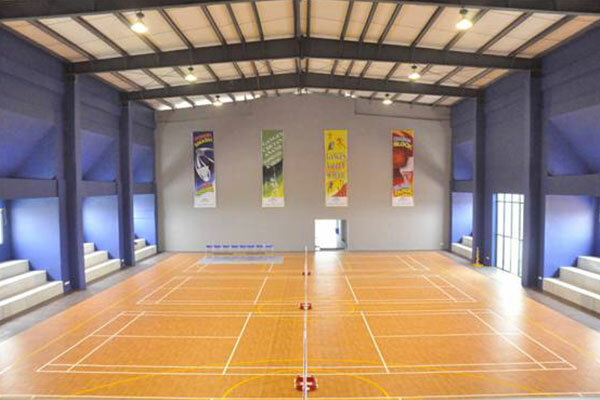 Our professionally laid sports floors deliver more than just a floor, they deliver champions! 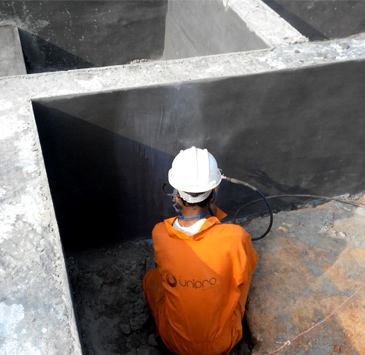 UniPro Enterprises LLP registered with the Registrar of Companies (ROC) and constituted under the LLP Act of 2008 offer clients innovative solutions for their diverse infrastructure requirements. 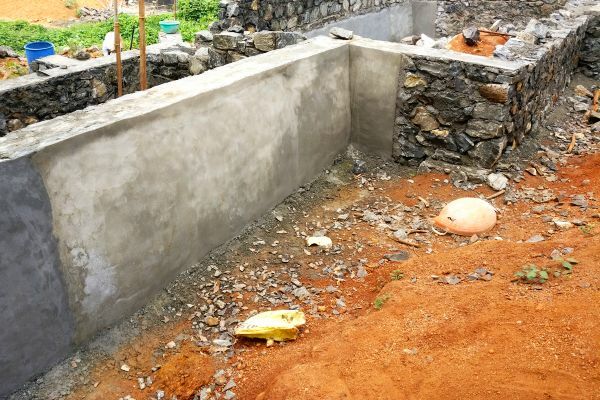 Our clientele varies from segments such as Construction Companies, Commercial Institutions, and Individual House Builders. 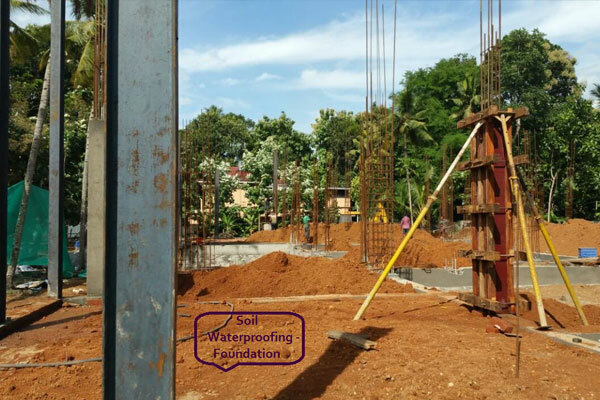 We are also associated with major decision-making groups like Architects, Project Management Consultants & Building/ Civil Contractors. 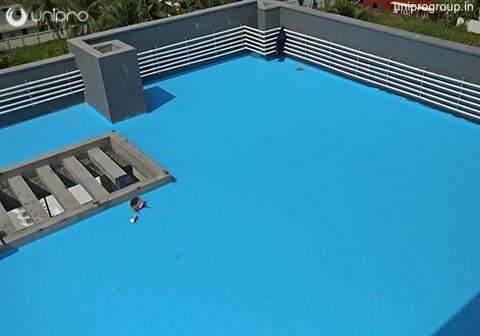 360° hydrophobic treatment for residential and commercial buildings. 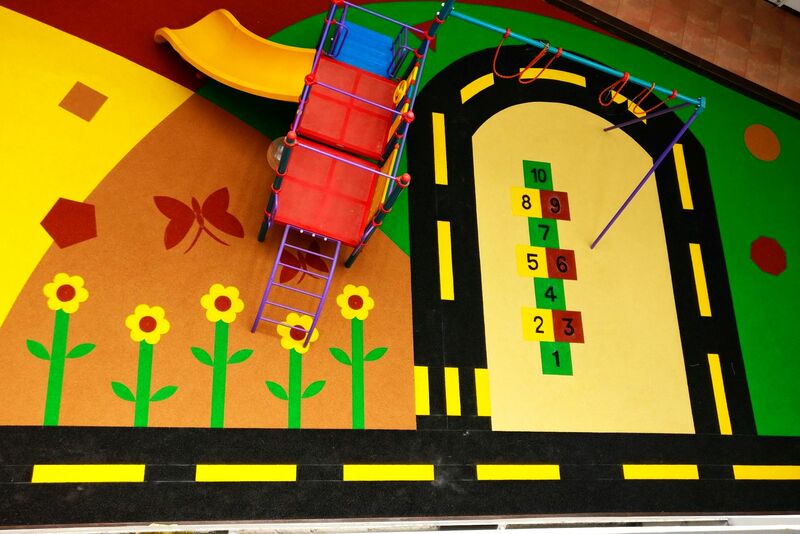 Revolutionary anti-skid treatment without changing the aesthetics of tiles by increasing SCOF. 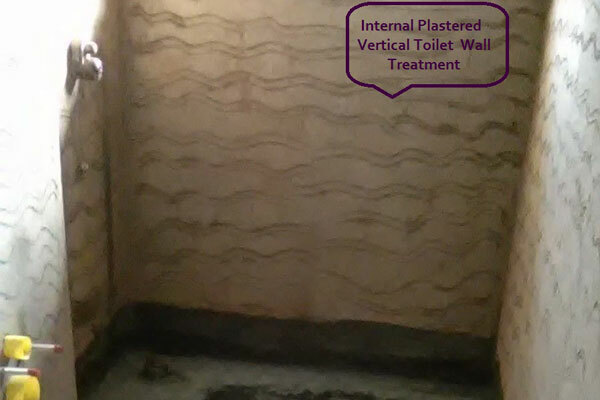 Permanent hydrophobic treatment for internal toilet walls to prevent water ingress by surface absorption. 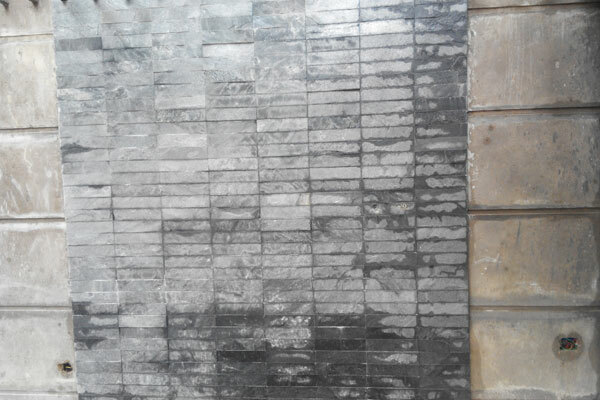 Permanent hydrophobic treatment for stone cladded external walls to prevent water ingress by absorbtion and through cladding crevises. 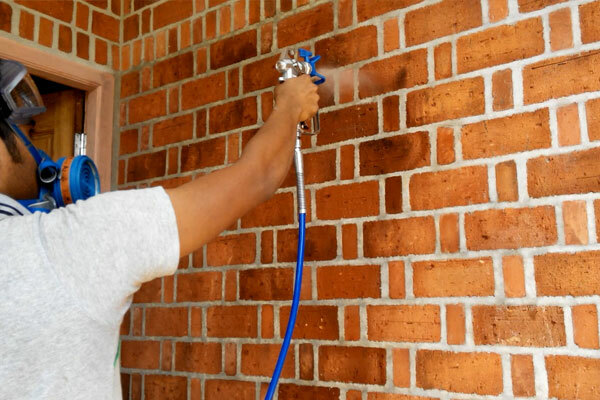 Permanent hydrophobic treatment for brick exposed external walls to prevent water ingress by absorbtion. 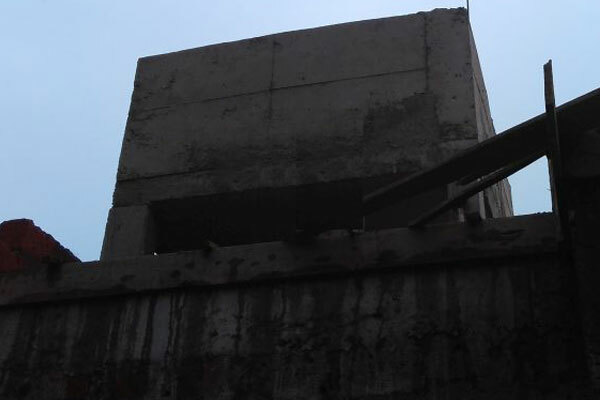 1) Reduces water absorbtion on the exposed brik walls. 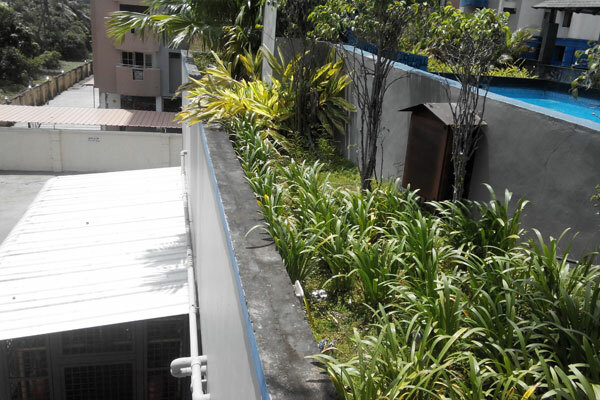 2) Reduced algae and fungus formation on the walls. 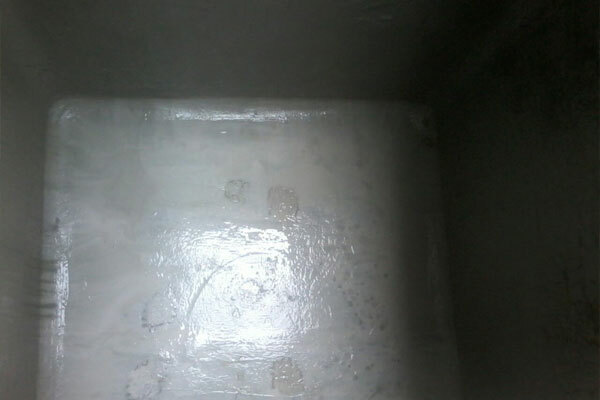 Permanent screed/cement plaster hydrophobic treatment for toilets & balconies. 2) Eliminates lower bottom dampness rise in walls & paint peeloff. 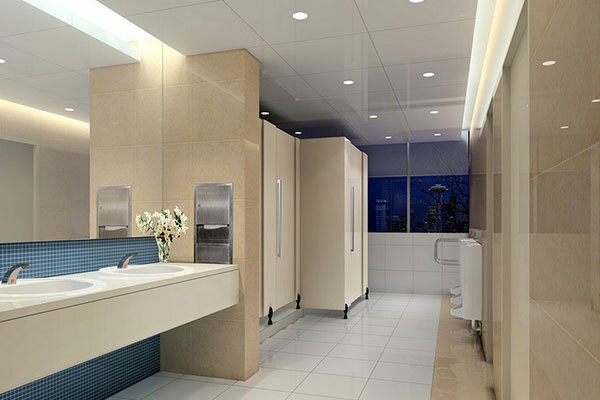 Stops water leakage in exisitng toilets without removing the tiles. 1) Permanent solution to leaky toilets. 2) Existing tiles aren't tampered with. 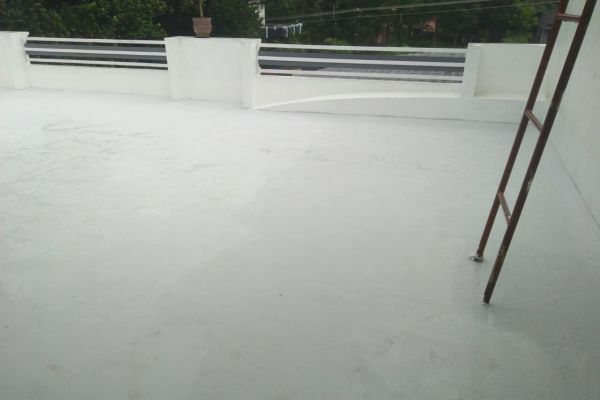 Exposed water proofing treatment for open terraces. 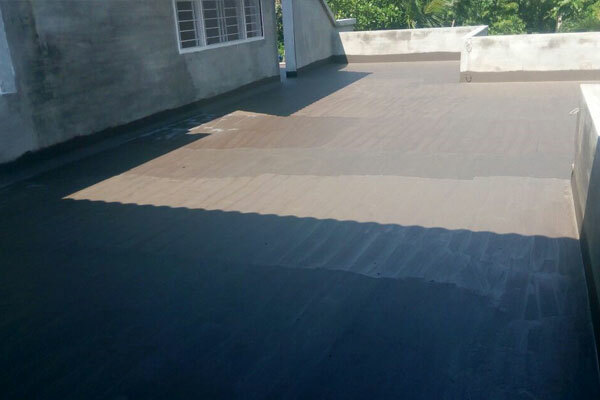 Exposed & heat reflective water proofing treatment for open terraces. Can be done on already plastered terrace. 2) Avoids damp roof slabs. Damp proof course for RCC Members. 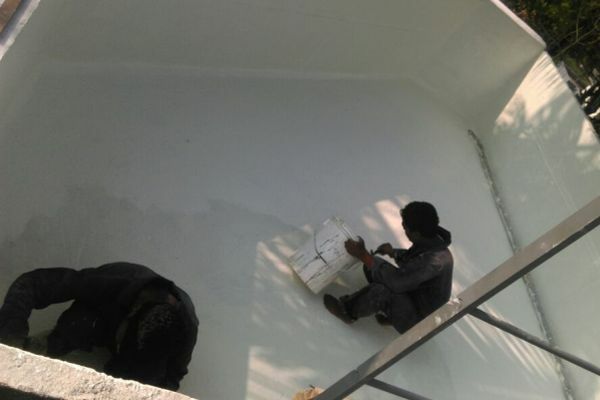 External walls are hydrophobised and then exterior emulsion coatings provided with a paint brand of clients choice. 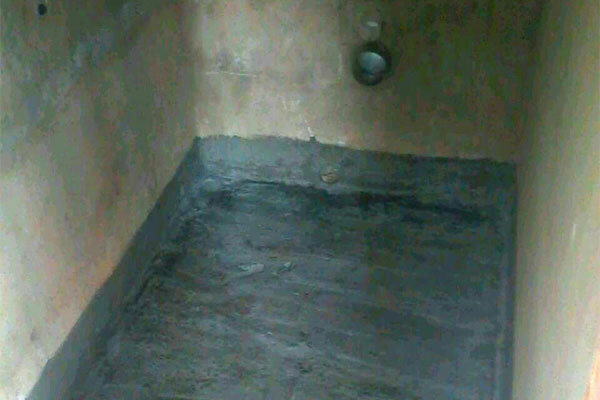 1) Provides plastered wall a water repelling surface which is free from hairline cracks. 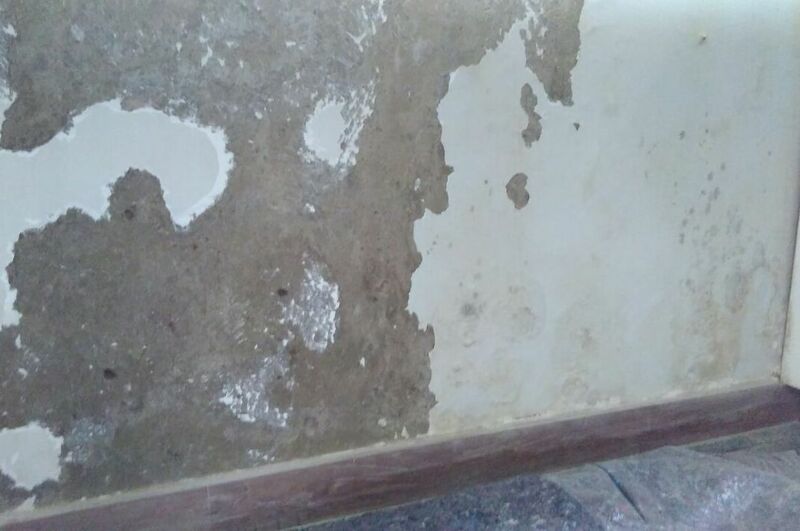 5) Increases Paint bonding with the external wall and thus reduces paint peel off and bubbling. 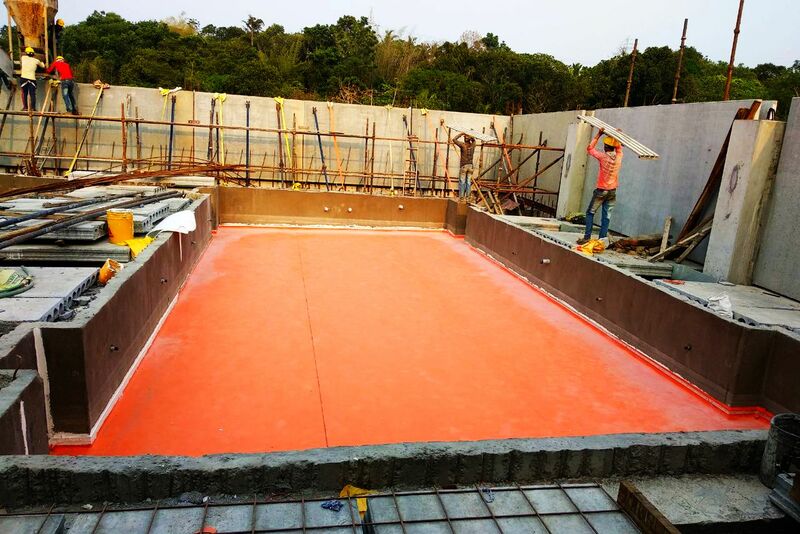 Water proofing treatment for ground level as well as elevated levels swimming pools. 3) Longer life for the structure. 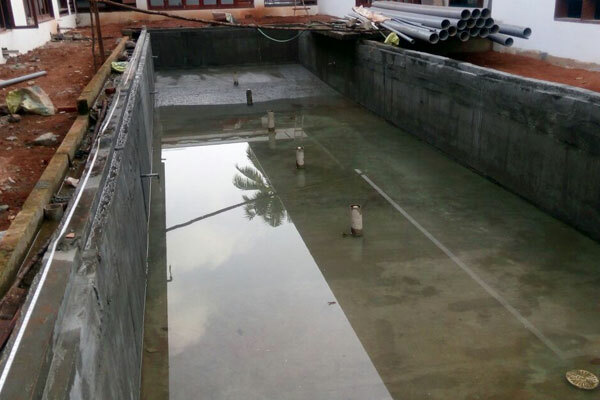 Water proofing treatment for overhead water tanks and underground sumps. 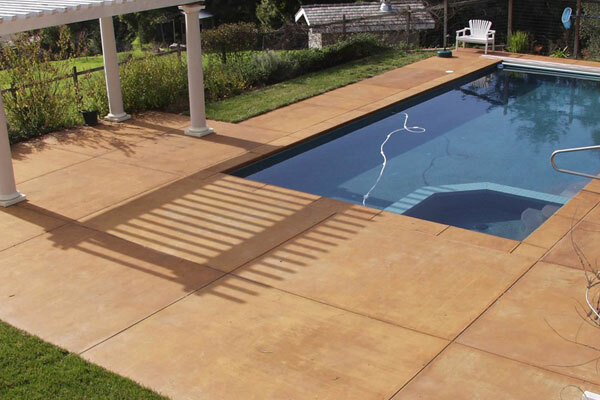 Treatment for over head RCC slabs to prevent water absorbtion and seepages. 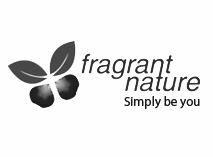 3) Reduced formation of algae and fungus. 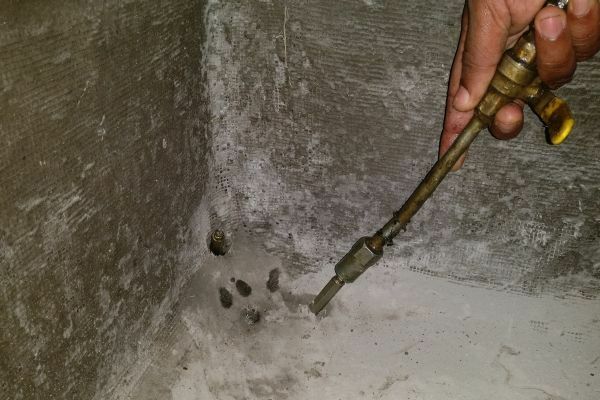 Basement/Cellar areas are treated to prevent water ingress. 2) Longer life for the structure. 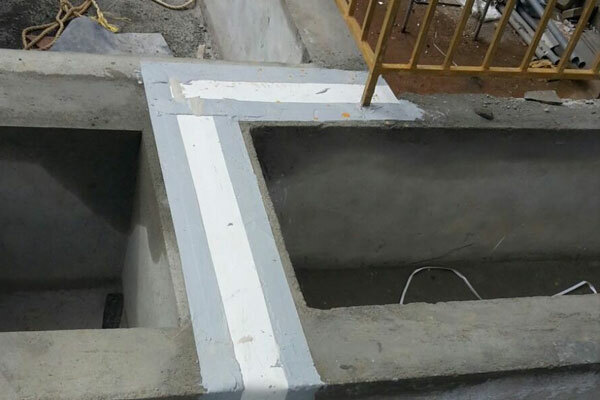 Lift pit areas are treated to prevent water ingress. 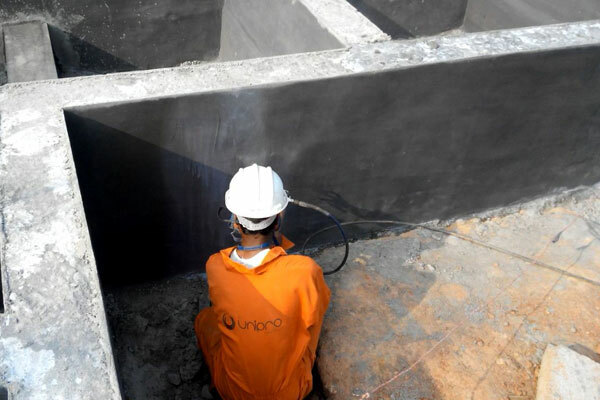 2) Reduces the risk of lift breakdown due to wetness in pit areas. 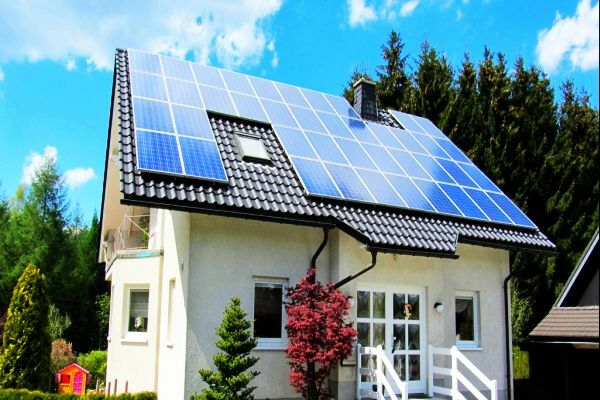 3) Allows thermal expansion between structures while keeping the joints water tight. 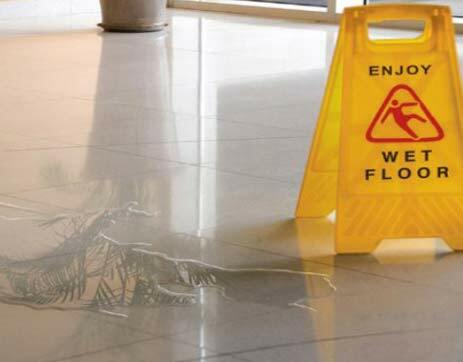 Water resistant, prevents rising dampness, efflorescence. 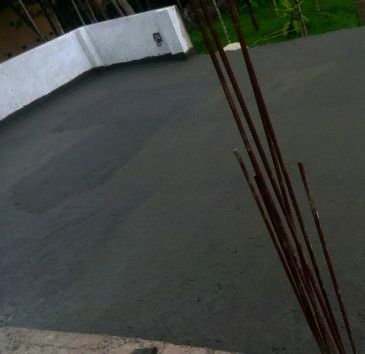 Excellent adhesion to most substrates including damp/wet surfaces and freshly laid concrete. 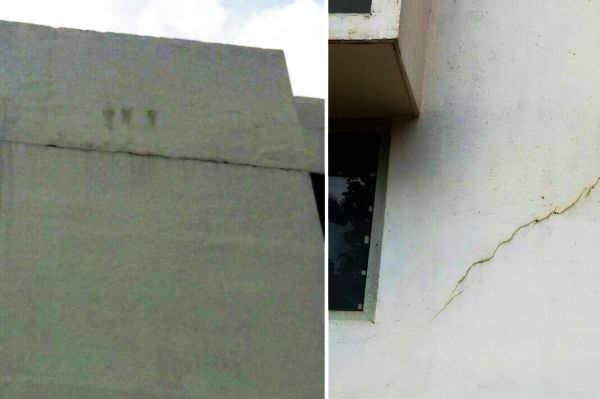 Treatment of wall cracks which cause water ingress into the expensive room interiors. 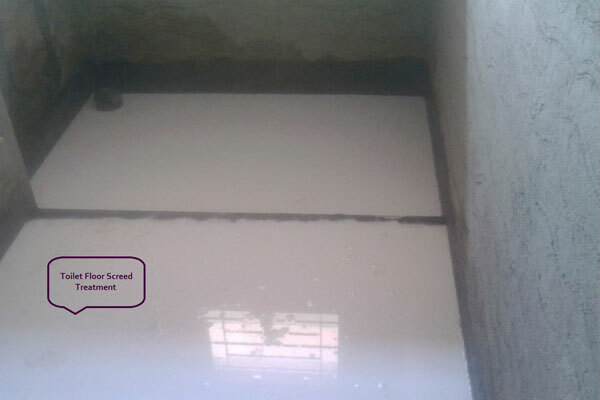 Water based, anti bacterial, solvent free, odourless, epoxy resin protective coating for drinking water tanks & reservoirs. 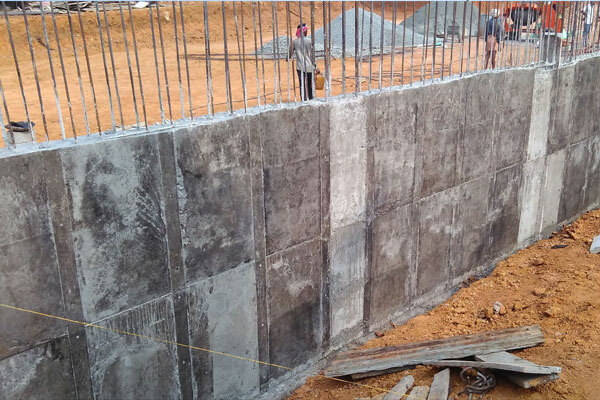 submerged structures such as RR Walls, RCC/PCC Retaining Walls, sewage systems etc. Can be applied on to damp concrete/ cement plastering. 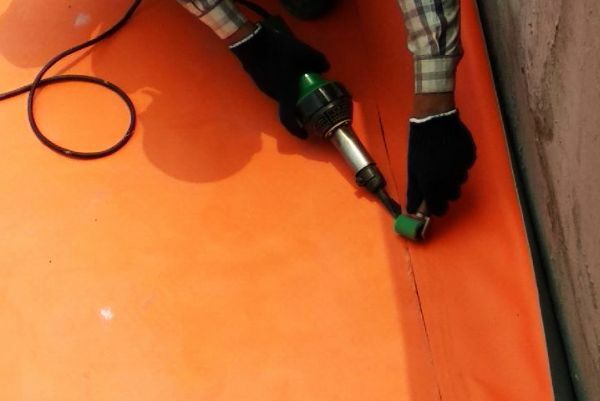 1.5 mm thick, multi-layer, synthetic roof waterproofing sheet based on premium-quality polyvinyl chloride (PVC) with inlay of glass nonwoven. 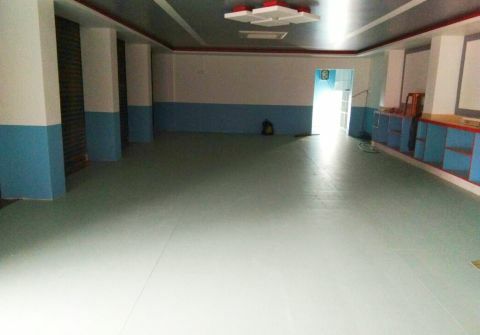 Polyurathane indoor sports flooring for multiple uses such as in Gyms,Badminton Courts, Basket Ball Courts, Aerobic Halls, etc. 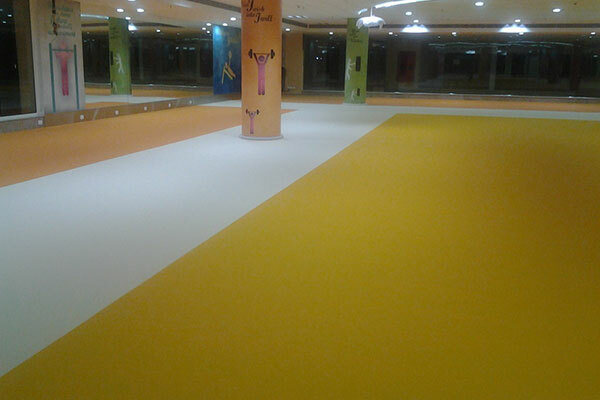 4) Seamless flooring with great protection for athletes. 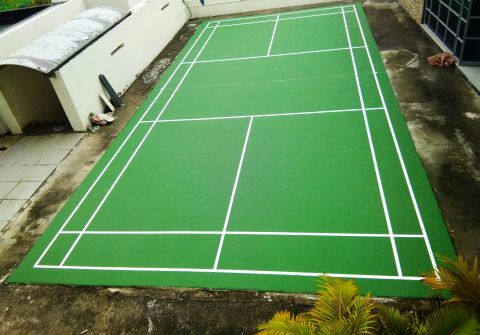 Vinyl Indoor Sports flooring for multiple uses such as Badminton, Basket ball, Volley ball, Gyms, Aerobic Halls, etc. 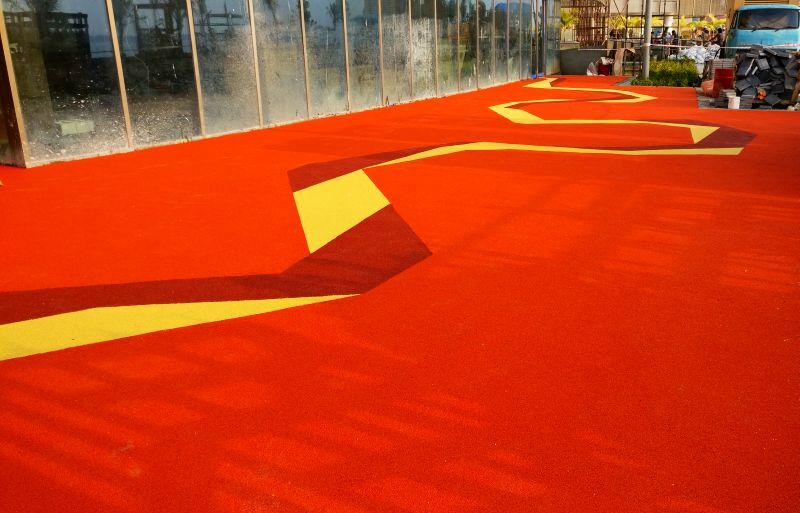 3) FIBA Certified and meets all Eurpean standards for sports flooring. 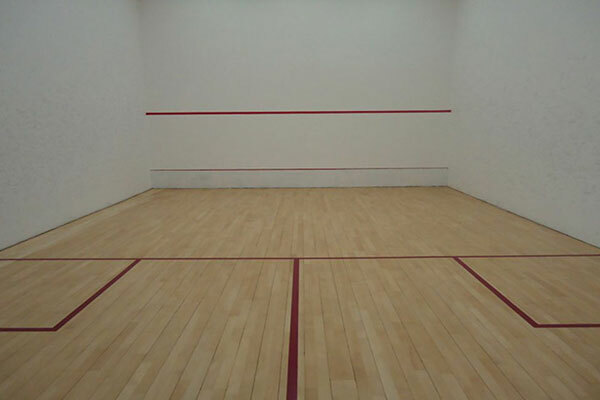 Durable European sports wooden floorings for Badminton, Squash etc. 4) Different wood specs to choose from with primary focus on maple and oak. 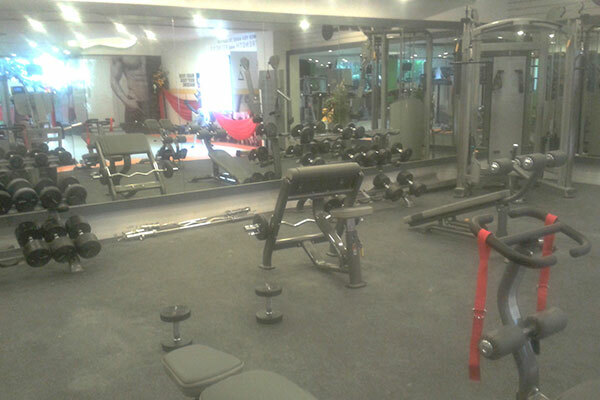 Rubber flooring for multiple areas such as weight lifting areas, Yoga/Pilates, skating rinks etc. 3) Available in roll & tile formats with multiple color options. 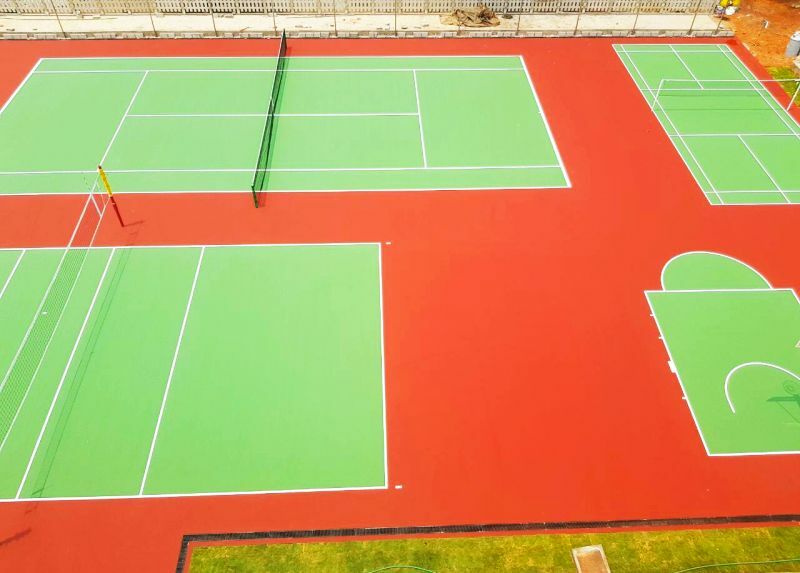 Acrylic floors are laid on concrete subbase and asphalt subbase with Asphalt as the preferred option.Majorly used for Tennis Courts, Badminton Courts, Basket Ball Courts, Volley Ball Courts,Roller Skating Rinks, Biking Tracks etc. 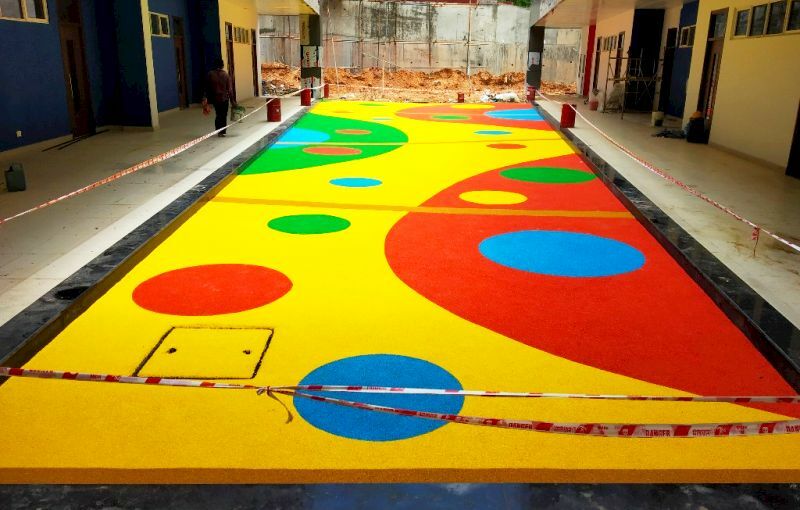 1) 3 to 8 layer system with or without rubber base. 3) Multiple colour options available. 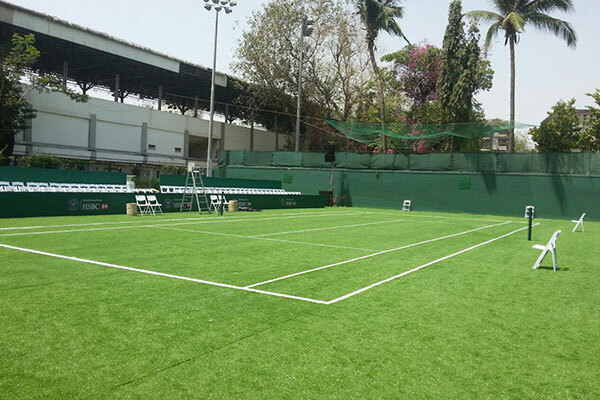 FIFA and International Hockey Association approved artificial turf for football grounds and hockey fields. 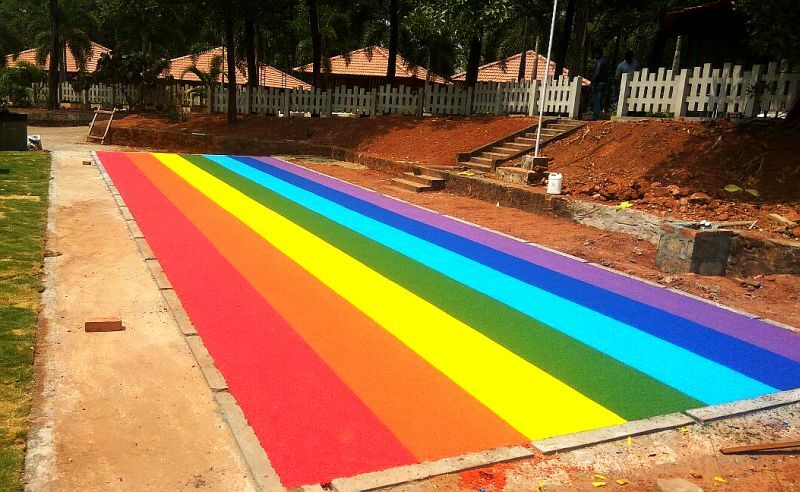 Also used for cricket grounds. 1) FIFA and international Hockey Association approved product. 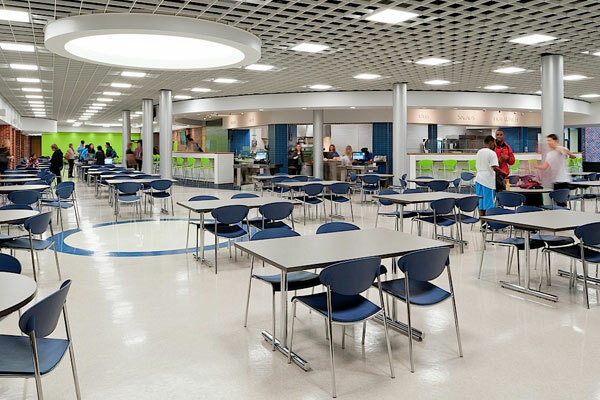 3) Low recurring maintanance costs. 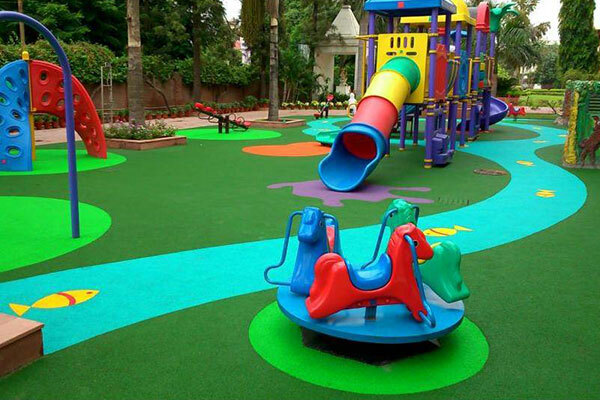 Multi color option EPDM flooring for kids play areas, Volleyball, Badminton Courts,Jogging tracks etc. 4) Great protection for athletes due to usage of rubber. 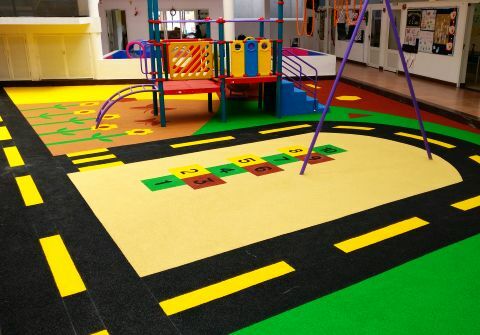 International quality athletic tracks of with varied options such as spike compatible PUR tracks, Sandwich system, spray system, acrylic and rubber flooring. 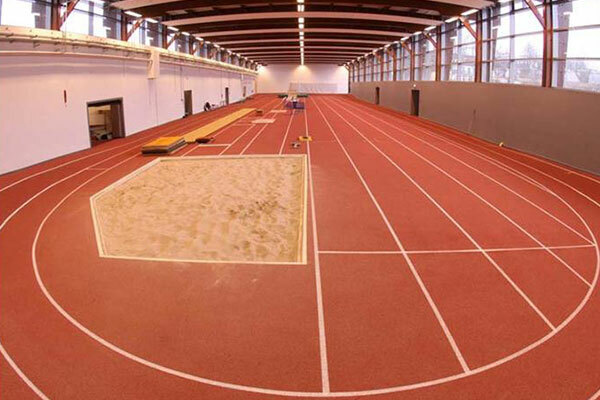 5) Track systems that are one star and two star IAAF approved tracks which passes all EN 14877 and DIN standards. 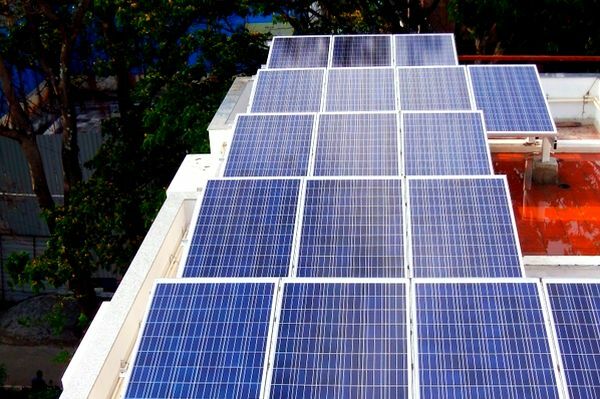 On-Grid roof top mounted solar power plants from 1kWp to 1MWp for institutions and commercial establishments. Tier 1 components only used. 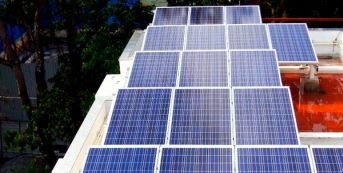 On-Grid ground mounted solar power plants from 1kWp to 1MWp for institutions and commercial establishments. 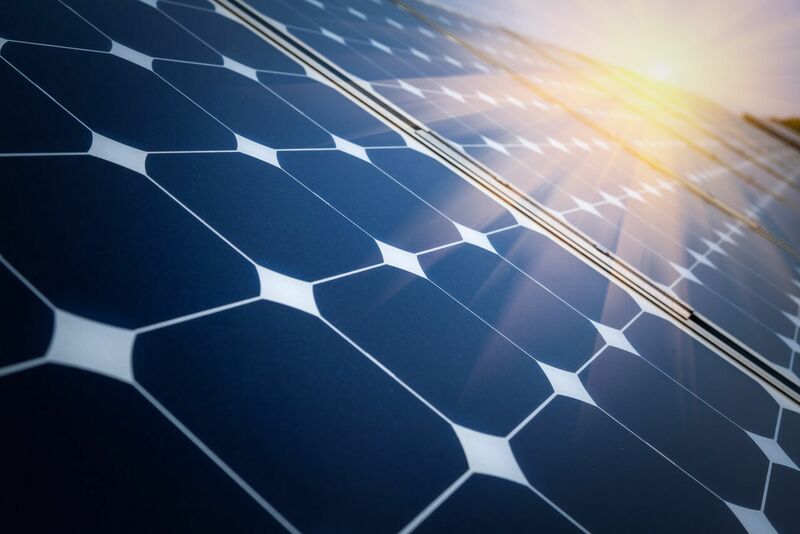 BIPV is a unique, innovative integrated power system which replaces the conventional steel / RCC roof or glass façade with power generating solar modules. 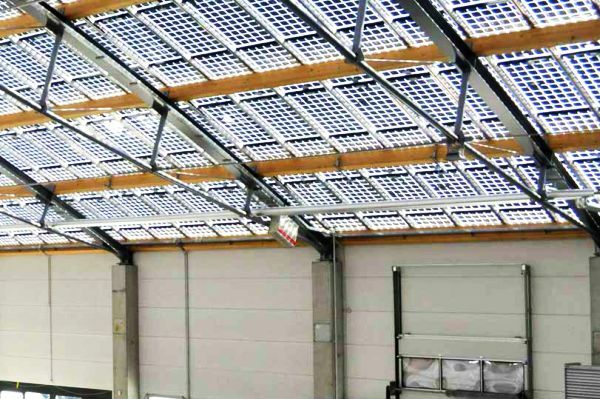 Customized BIPV systems integrate fully with structures & enhance their design form factors. 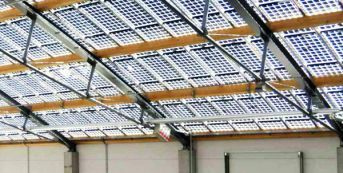 Allows light thru the panels hence reduces daytime lighting requirements thus enabling energy efficient building designs. 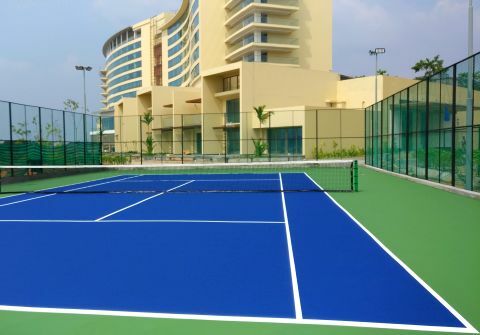 Ideal for Commercial Buildings, Malls, IT SEZ’s, Industrial Structures, Sports Arenas, Tourist Resorts, Parking bays, Bus shelters, Metro stations etc. 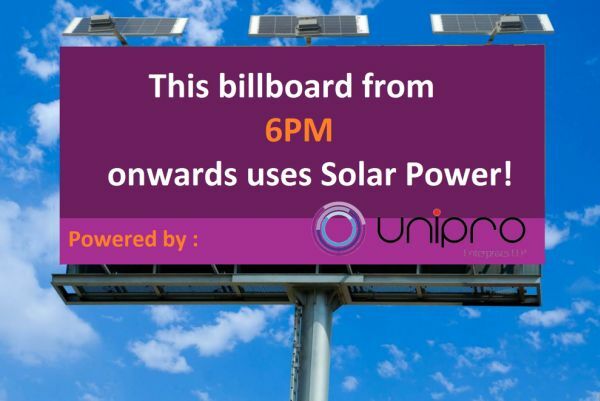 On-Grid/Off-Grid Solar power plants for billboards/hoardings. 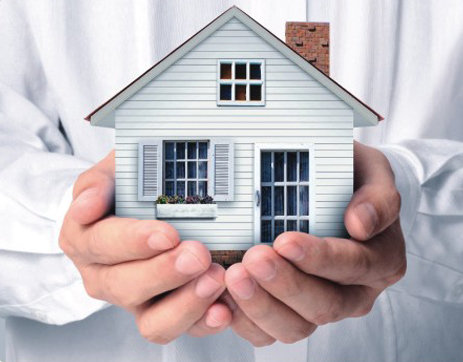 Immediate shifting from expensive commercial rates to cheaper rate per unit. 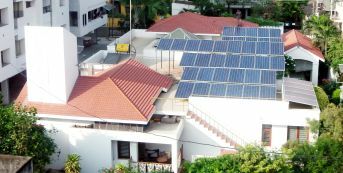 Off-Grid systems work even during power cuts. 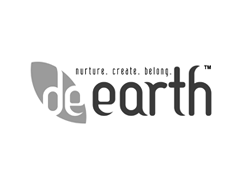 Green branding for your firm. 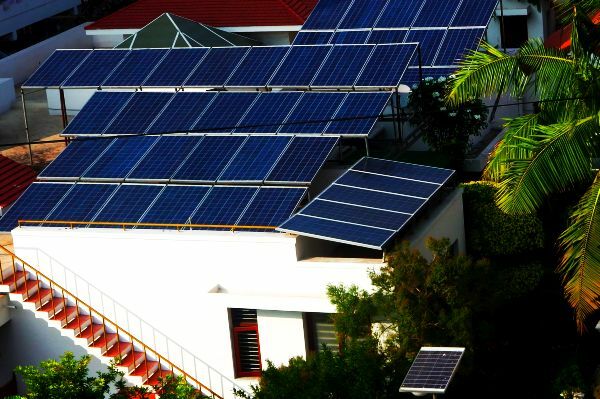 Off-Grid roof top solar power plants from 1 kWp upwards for residences and commercial establishments with Home UPS backup. 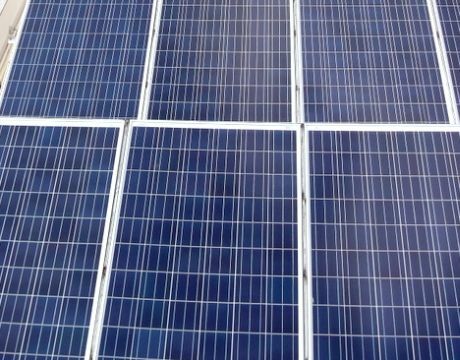 No rewiring required as existing UPS/inverter line can be used. 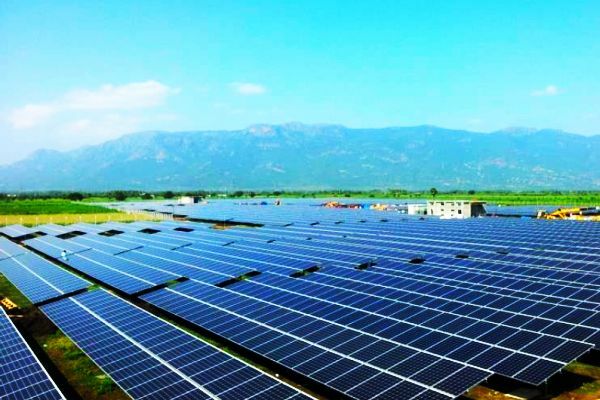 Off-Grid rooftop solar power plants from 1 to 50 kWp for residences as well as institutions and commercial establishments with battery bank. 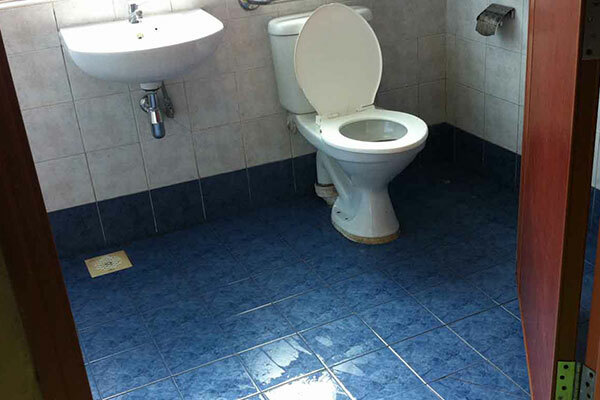 Toilet anti slip treatment to avoid slipping when wet. 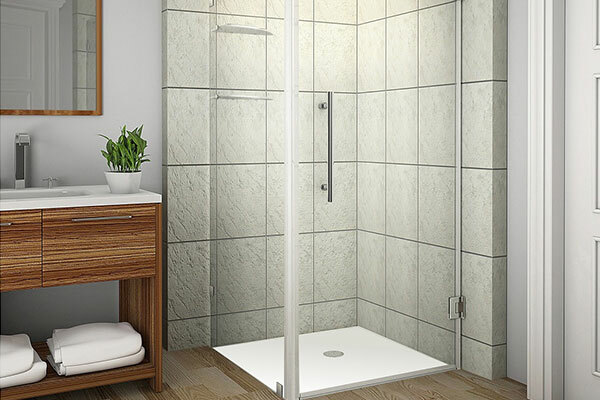 Protect yourself from accidental slippage while stepping out of your shower enclosure. 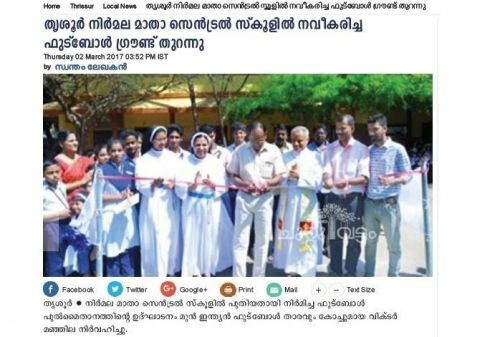 4) No change in aesthtics. Ensures adequate grip even on floors with soapy water and grime. Gives good grip even on wet Kitchen floors. Provides enhanced grip to your feet during ascent and descent. 3) Allows for carefree movement. 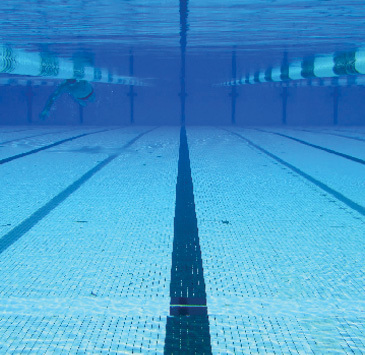 Get your feet firm on the floor when water is flowing/wet. 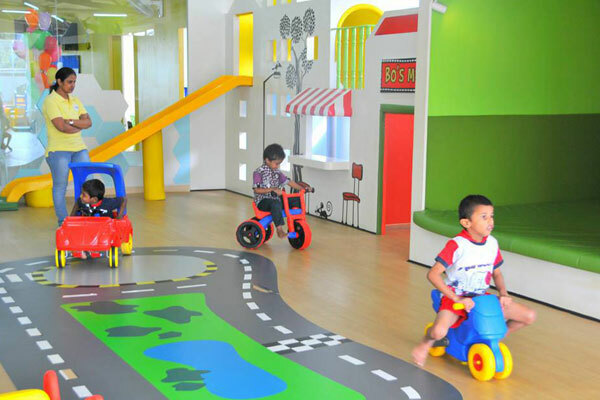 Give your kids an anti slip floor while playing. 3) No change in appearance. 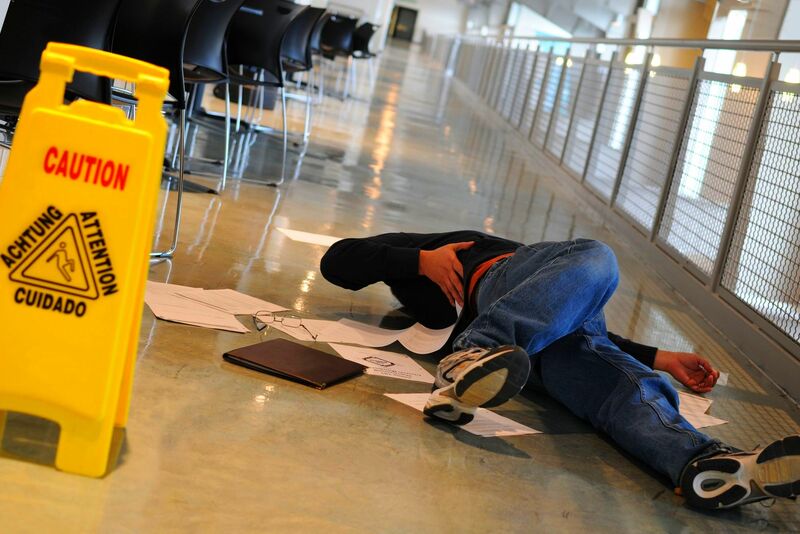 Protect your guests from unpleasant slips and falls. 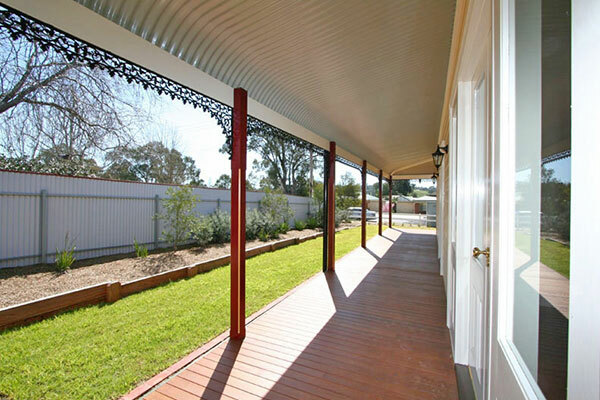 Give your wet & slippery verandahs anti slip protection. 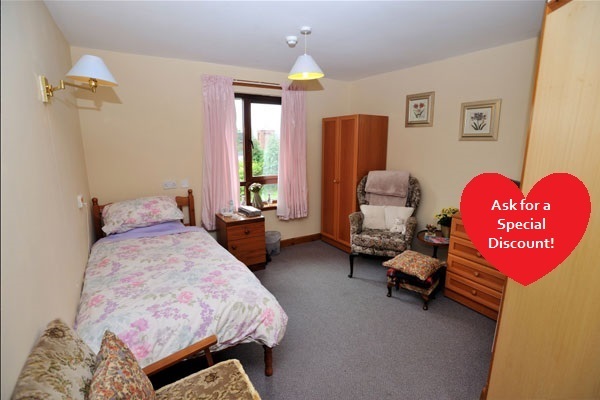 Prevent elderly folks from slipping and getting bed ridden. 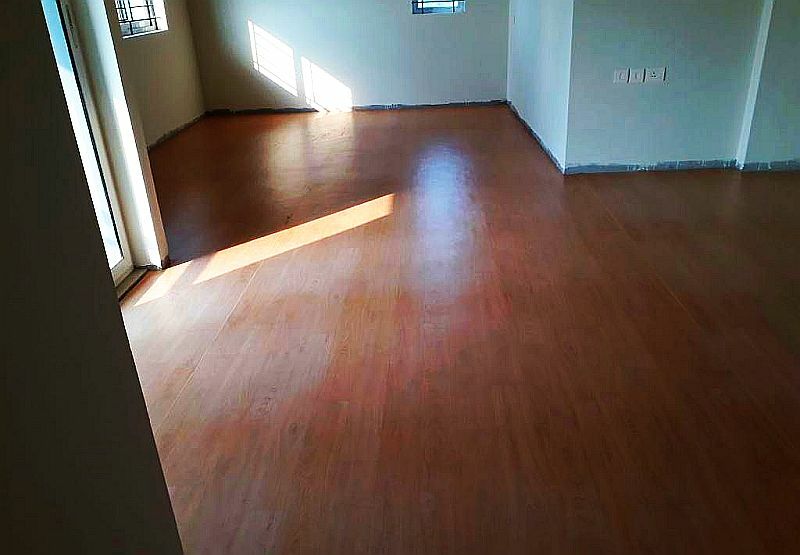 3) Long lasting grip & hygenic floor. 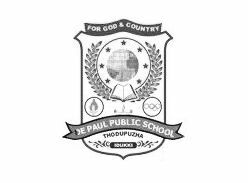 "...extremely professional, knowledgeable and helpful in coming up with the best solutions for varied situations...."
"...efficient and a responsive organization to deal with. Their treatments were executed in a very professional manner." 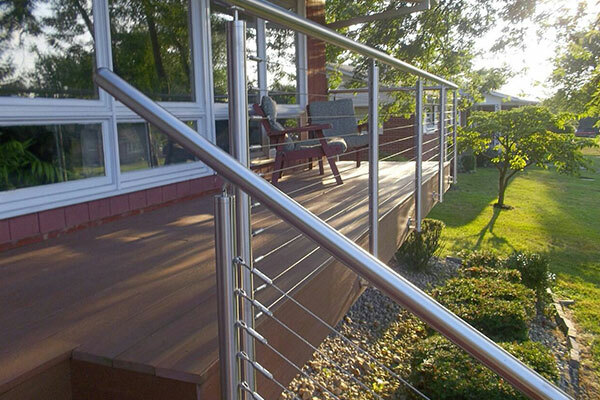 "....totally happy with the product and their exceptional service. Very professional and prompt..."
"...They are experienced & have a well co-ordinated tech team.The effort from them made sure that the work was completed well within the time frame..."
"Extremely happy with the solution from UniPro that repels water and keeps the natural finish of our exposed brick work which highlight our construction." 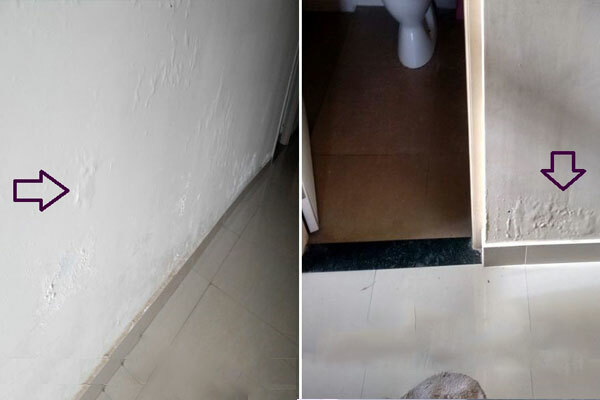 "had entrusted UniPro with major wet area treatment work of my new residence including external walls & toilets. 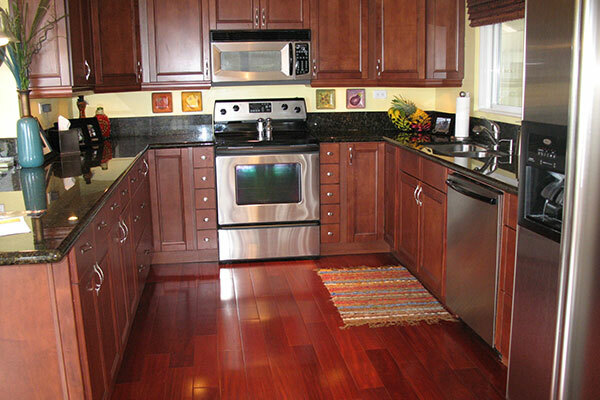 Their timing & quality of work have always met my expectations & everything was communicated in a professional manner. They could offer sound guidance & vast options for each application areas & enlightened me in the process. 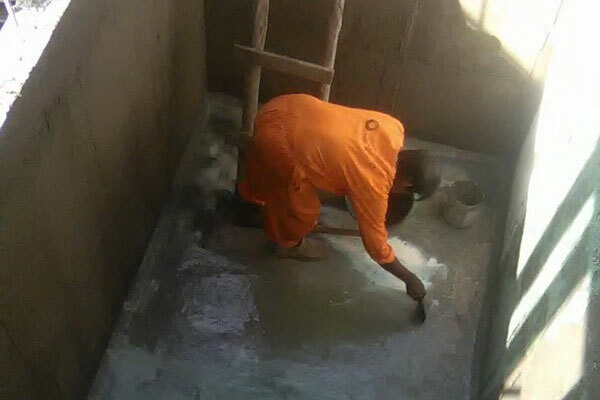 Very professional in approach & work execution"
"The anti skid treatment given to the granite tiles in my house on the outdoor steps has been very beneficial as even with rain water falling continuously on it, it gives a good grip to the feet and the fear of slip and fall is mitigated .This is the best preventive measure against falls in the bath area too..I would any day recommend this treatment to the floors in areas where there is chance of wet floor. 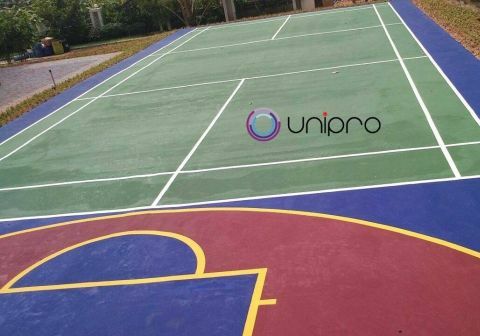 Satisfied and happy with service of UniPro." 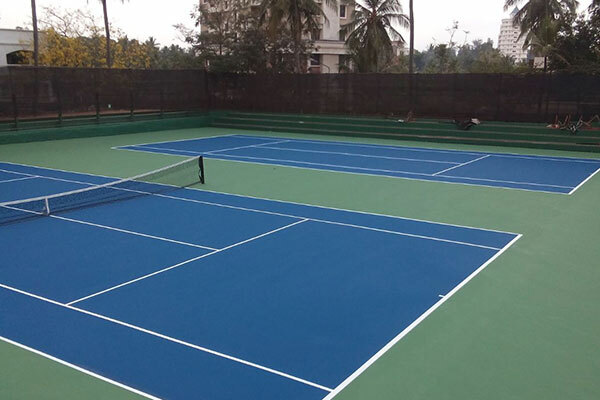 5 Layer Acrylic Synthetic Badminton Court & Half Basket Ball Court at Kolenchery Completed! 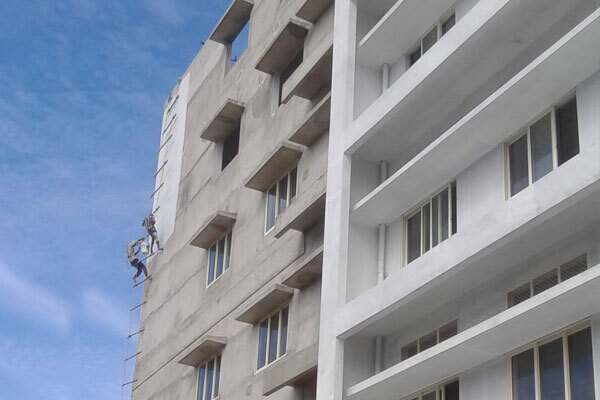 News coverage by manoramaonline.com in the section "Chuttuvattam"
Polyurathane protection treatment for exposed RCC slabs and fire staircases was successfully completed and handed over at Sacramento, super luxury boutique apartments at Yatch Club, Kochi by Nanma Properties. 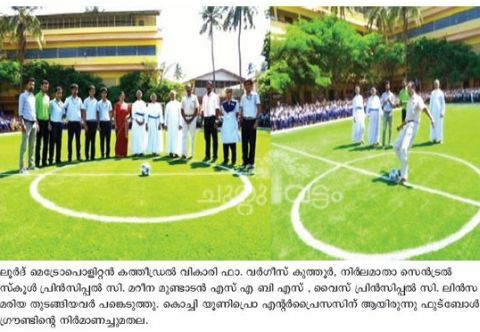 The project was inaugurated by Mr.Navas Meeran, Chairman Eastern Group on 6th February. 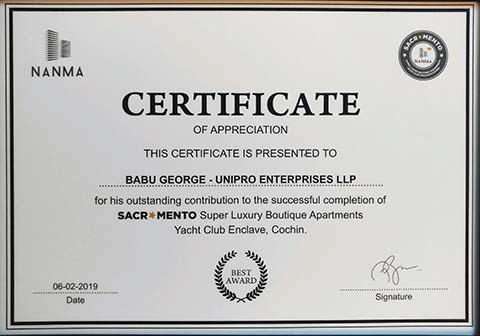 UniPro was presented with appreciation award for outstanding contribution for successfully contributing to the successful completion of "Sacramento', the super luxury boutique apartment at Yatch Club, Kochi. Copyright © 2018 UniPro Enterprises LLP . All rights reserved.